A free CD which was included with the Daily Mail Newspaper of October 31, 2010. For this CD, the songs where chosen directly by the fans on the Daily Mail website. A poll was created and the people could vote for their favorite songs. So of course, all the famous ones were selected! Songs like Open Arms, Something Special & Complicated Disaster were part of the poll but didn’t make it to the CD! I remember being excited about this CD coming out and disappointed I missed the opportunity to vote! I would have voted for ‘better be good to me’. 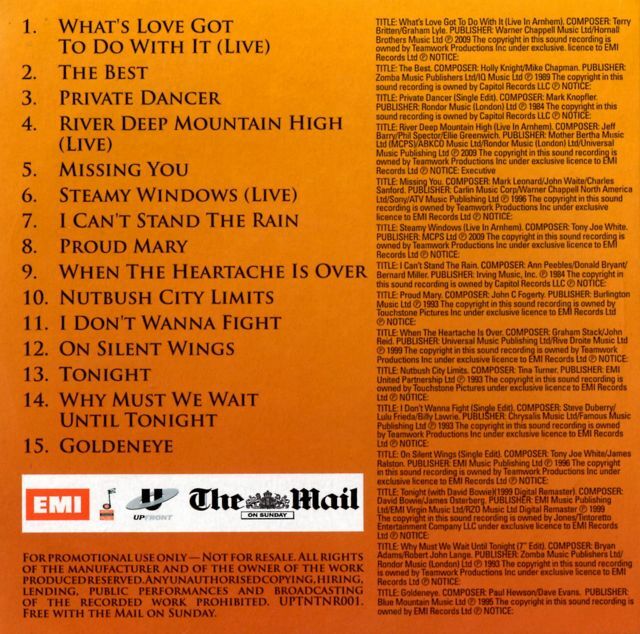 My least favourite song is ‘why must we wait until tonight’ and I’m surprised it reached the track list compared to ‘better be good to me’, which wipes the floor with that song in my opinion! ‘Better be good to me’ is a personal favourite of mine. The tracklist is indeed a bit unusual, but then again, us fans have every song already at least on 10 different cd’s!